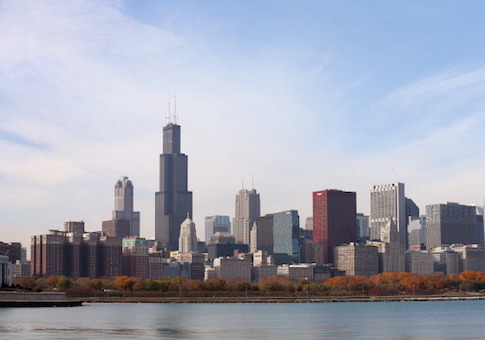 Officials in Chicago want to test the waters of offering a universal basic income. A majority of city council members are telling Mayor Rahm Emanuel to form a task force to look into Universal Basic Income programs, which is essentially a periodic check from the government with no strings attached. The City Council wants to explore a program that would send at least $500 a month to 1,000 Chicago families. The same families also would get Earned Income Tax Credit money on a monthly basis rather than once a year. 47th Ward Ald. Ameya Pawar’s resolution said the money would "help working people and families become more resilient to day-to-day financial emergencies, are able to make rent, cover childcare, and put food on the table." At his speech for the annual Nelson Mandela lecture in Johannesburg last month, former President Barack Obama endorsed the idea of a UBI as more jobs are automated. "We’re going to have to be more imaginative," he said. "We’re going to have to consider new ways of thinking about these problems like a universal income, a review of our work week and how we train our young people." Other U.S. cities are looking at the idea as well. Stockton, Cal., is set to be the first to actually implement a UBI pilot program in 2019. This comes as Ontario's leadership announced that the province will do away with a program that gives a UBI to people with low-paying jobs. The issue that Manhattan Institute senior fellow Oren Cass and others have with the idea is that a pilot program won’t give any indication of how a large-scale hand-out would work. "Choosing a random group of people and telling them they get a bunch of money, we call that a lottery," he said. Cass said the fear that robots will take everyone's job is an unrealized fear. "Robots are not taking jobs," he said. "All of the economic data suggests that jobs are being destroyed by automation slower than ever." Chicago is not flush with cash. As of 2016, the city had $40 billion in bills, according to Truth in Accounting. "It’s obviously bizarre that a city that’s already essentially bankrupt to be piloting a program that mails a bunch of money to everybody," Cass said. As of 2017, the city had more than 2.1 million residents older than 18. Giving each a $500 check every month would cost about $12.6 billion annually. Chicago's annual budget for fiscal 2018 was $8.6 billion.